From Sausalito we took the shuttle up to Muir Woods for the afternoon. The shuttle departs regularly from outside the little Information house just near the ferry terminal. The shuttle ride takes about 40 minutes, driving up over the mountain and down the other side, past Muir Beach and in to Muir Woods. The views along the way were really pretty and certainly an added bonus to this excursion. Our driver was in deed very special. On 2 occasions, he was asked if he could wait while someone used the restroom and to him it was no problem. So, twice we sat at bus stops and waited. It was fine, no one seemed disturbed about it. The shuttle fare is $5 return trip. Yes, $5. Nothing is $5 now days. And. 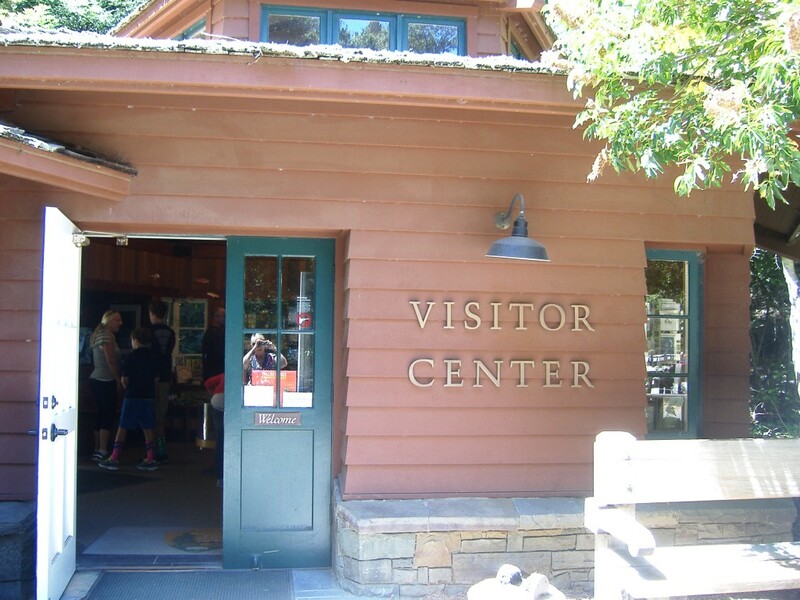 You pay your $5 when you arrive at the Muir Woods when you pay your entry fee of $7 into the woods. So that is $12 for a lovely day out. Another bonus for me is, my friend who I travelled there with is a member of the National Parks of America and is able to take in guests on her pass, so we both got in for no cost, it was also free on the shuttle bus. Muir Woods National Monument is a unit of the National Park Service on the Pacific coast of southwestern Marin County, California, 12 miles (19 km) north of San Francisco and part of the Golden Gate National Recreation Area. It protects 554 acres (224 ha), of which 240 acres (97 ha) are old growth Coast Redwood forests one of a few such stands remaining in the San Francisco Bay Area. Muir Woods is an incredible forest of redwoods and bay laurel trees. The redwoods are so very tall that they have their own Eco-system at canopy level. These trees have survived for centuries and are some of the largest in the world. You can not only enjoy just the sight of the trees, and the tranquility but also learn a great deal from the enthusiastic rangers. There are several trails you can take depending on your energy levels and fitness, or there is a comfortable loop that takes you to incredible scenes of natural beauty … the impressive, resilient redwood trees! 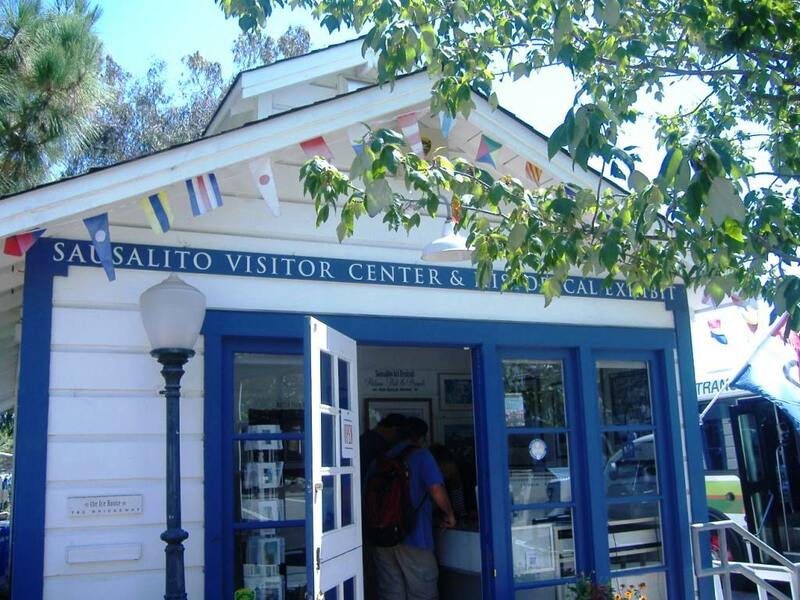 I highly recommend taking the shuttle from Sausalito if you have the time. As I particularly noticed the limited parking that the park had to offer. The car parks are a small walk from the woods entrance however when we arrived they all looked full. Or just make a point of arriving there very early. There are several disabled parking spaces at the entrance. If you love trees and nature, you must go! There are several trails to choose from based on your level of fitness and time. I feel so lucky to have had this experience. I live this place! These trees are so old and do tall. It is hard to believe. Thanks for being such an intrepid traveller. The information gathered is very helpful for those coming after you and following your path. 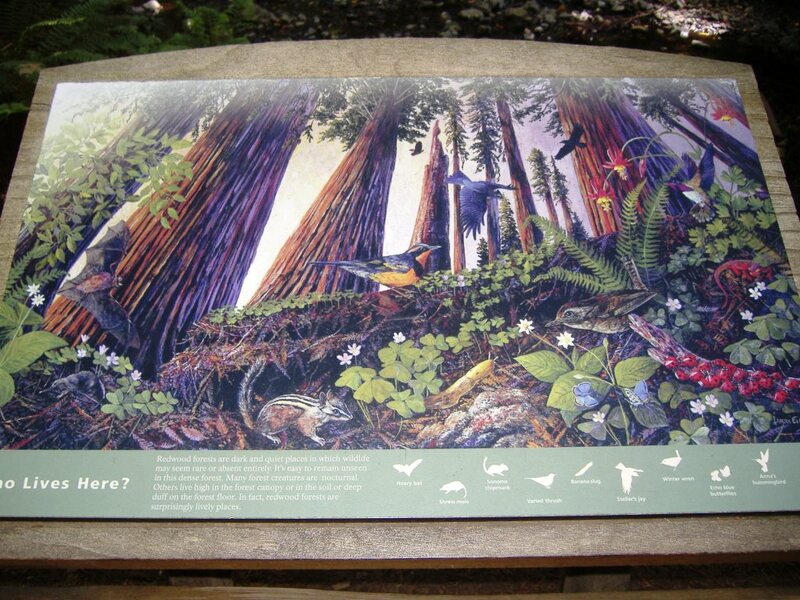 Muir Woods is a tranquil place to visit. The trees have been there for hundreds of years and have had their share of lovely local and foreign visitors such as yourself. Thanks for sharing your beautiful photos. Thanks Ishita. Yes very cool. And very lovely. Where would we be without trees. I shudder to think. You are right. its sad that there are only a small percentage left. not in the bigger towns anyways! Looks amazing. Great photos Lyn.